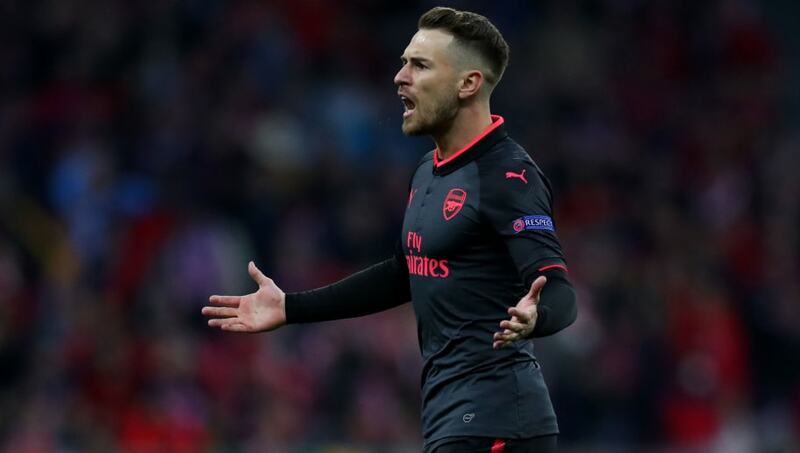 ​​Arsenal remain in contract talks with star midfielder Aaron Ramsey, whose future at the Emirates is in doubt with his current deal set to expire next year. ​Sky Sports believe getting Ramsey tied down to a new contract is one of the club's biggest challenges this summer as they continue to reshape their squad ahead of the 2018/19 season. Last week, new Gunners manager Unai Emery revealed he wanted to work with Ramsey, who has made 327 career appearances for the north London side, scoring 58 goals and winning three FA Cups. "I'm very happy with him," Emery said. "Every day, every training session he is with the ambition I want. He is working with quality. I want to work with him." Arsenal are not expected to do much more transfer business after moving early in the market, having already brought in Uruguay midfielder Lucas Torreira, Borussia Dortmund defender Sokratis Papastathopoulos, youngster Matteo Guendouzi and Switzerland veteran Stephan Lichtsteiner. However, rumours linking the club with Sevilla and France midfielder Steven Nzonzi persist and they could make an effort to sign the 29-year-old this summer, despite completing the majority of their business already. The Gunners have also lost Jack Wilshere to West Ham after failing to agree a new contract with the England midfielder. The 26-year-old made 197 appearances in ten seasons at the Emirates, being regularly bogged down by persistent injuries. Arsenal played their first match of pre-season on Saturday, beating Boreham Wood 8-0 thanks to a hat-trick from Pierre-Emerick Aubameyang and further strikes from Reiss Nelson, Alexandre Lacazette, Eddie Nketiah, Jeff Reine-Adelaide and Henrikh Mkhitaryan.